Acquired: February 26, 2008, along with Pascal Dupuis, in exchange for Colby Armstrong, Erik Christensen, prospect Angelo Esposito, and the Penguins' first-round pick in 2008 (Daultan Leveille). This was a moment in Penguins history to where you can ask "do you remember where you were when the Penguins traded for Hossa?". In a shocking last minute move Ray Shero made his first bold move as Penguins General Manager by acquiring Hossa in 2008. The thought of Hossa and Crosby together was mind boggling. In his Penguins debut two days later, Hossa injured his medial collateral ligament in a knee to knee collision with Glen Murray from Boston. He still racked up 10 points in 12 games wearing the Penguins crest and was a force in the playoffs putting up 26 points in 20 games. The next year he infamously turned down a (alleged) 7 million dollar contract to stay with the Pens only to sign with the Red Wings stating that Detroit was a better chance for him to win the Stanley Cup that year drawing ire from the Penguins fan-base. You can't deny the impact Hossa had in the 2008 playoffs turning the young and talented Penguins team into the lethal scoring threat that they were. Hossa won the Cup in 2010 with the Blackhawks and as of this writing competing for his second one as of right now. Probably his most prominent goal game in the ECSF against the Rangers in OT. Acquired: August 31, 1995, along with Petr Nedved for Ulf Samuelsson and Luc Robitaille. Rumors were that he was only with the Penguins for a season for not getting along with Mario Lemieux whom he struggled with control over the powerplay. The birth of fans screaming SHOOT on the powerplay may have been born on a cold Pittsburgh night in 1996 with Sergei Zubov surveying the point as Lemieux and Jagr circled the net like hungry vultures. 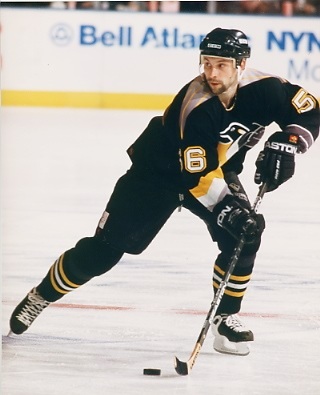 In the short stint with the Penguins only Sergei Gonchar has eclipsed his point total (06-07 with 67pts) as Zubov was a pure offensive powerhouse. He was smooth with the puck and commanded the blue line on the powerplay. At times he would patiently wait for the exact moment to take the perfect shot maddening the fans to the point of a frenzy. He was later traded for milk-truck Kevin Hatcher with rumors of him and Mario not getting along, and we were spoiled enough to see this offensive talent leave our town without the bat of an eyelash. He finished his career with the Dallas Stars putting up incredible numbers which makes you think where his career would have gone if him and Mario got along. Acquired: March 24, 2013, for Joe Morrow Penguins' 2013 fifth-round draft pick. The Penguins also received a third round pick from Dallas in this trade. This is based on assumption because of this writing Morrow is still under contract with the Penguins for a few days. Morrow was brought in as Shero's desire to have a tough veteran to help the Penguins through the long hellish playoff run. Morrow was the Star's long time captain and personally cleared the trade with management to go to Pittsburgh to play for the Cup. He was to take a top 6 role until Iginla said he wanted to play for Pittsburgh as well, then he was "demoted" to a bottom 6 role. He thrived playing along Matt Cooke and Brandon Sutter doing exactly what his job was described. He was hitting, fighting, getting the dirty goals racking up 14 points in 15 games which is well beyond expectations for a third line energy guy. 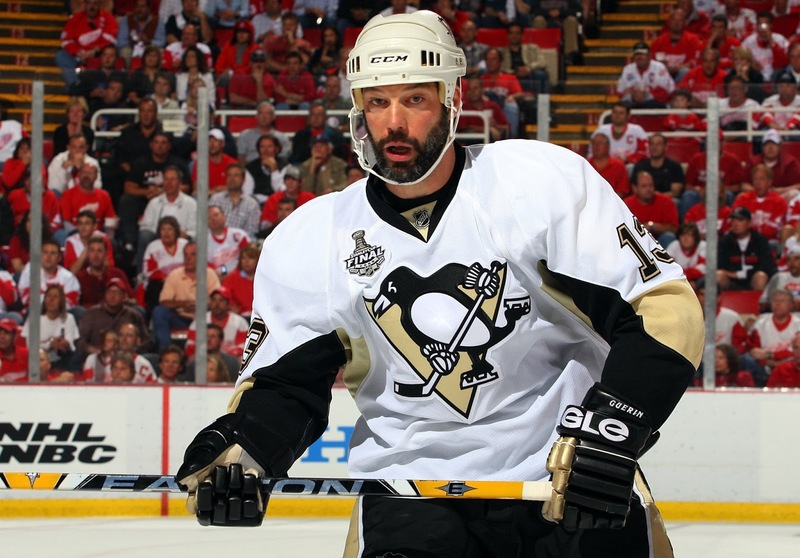 The Penguins cruised along in the regular season going 11-5 with him in the lineup. Acquired: August 8, 2005, as an unrestricted free agent.for three years and $13.5 million. 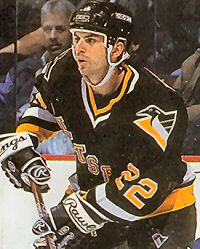 The very strange trip Palffy was with the Penguins. Palffy was multiple all-star with a scoring touch that was reminiscent of Jagr. He has 6 seasons scoring more that 30 goals and was considered a prized free agent in 2005 despite his recent shoulder injury in 03-04. In 2005 it was the year management began spending money again and wanted to show the fans they were serious about winning. A rookie Sidney Crosby, defensive all-star Sergei Gonchar, a"healthy" Mario Lemieux, and a John LeClair all giving a little hope for Penguins fans for that season. After 42 games putting up almost a point a game he suddenly retired from hockey claiming his shoulder injury was too much for him to continue.Palffy was no joke racking up 329 goals and 384 assists for 713 points in 684 games over 12 NHL seasons. 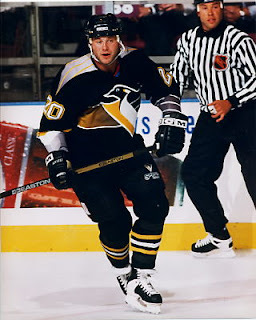 The highest scoring LW of all time wore the black and gold for the shortened 94-95 season with the Penguins. Our team was deep enough then to where he played on a second line with Straka and Sandstrom most of the time but shrt stint with the Penguins was incredible. The deadly offense of the Penguins was no match for the stingy trap of the 1995 Devils which eliminated them from the playoffs. He was then packaged with Ulf Samuelsson for Petr Nedved and Sergei Zubov for whatever reason. Acquired: February 27, 2007, for defenceman Noah Welch. Roberts then re-signed one-year, $2.5 million deal. What can I say about Gary Roberts that hasn't already been said? I was one of the dumb fans who thought trading a young prospect for an over-the-hill hockey player was absurd. I was so wrong. Roberts showed the young Penguins was it was like to sacrifice everything you had in the playoffs. He took control of the locker room and helped everyone around him get better. People respected and feared Gary Roberts for good reason. His numbers with the Penguins were average but the intangible assets he bestowed upon those young players were invaluable. Acquired: November 19, 1996, packaged with Stu Barnes for Chris Wells. You might laugh at this next pick but Jason Wooley was a very good defenseman. The points he put up being on the second pairing were above average. 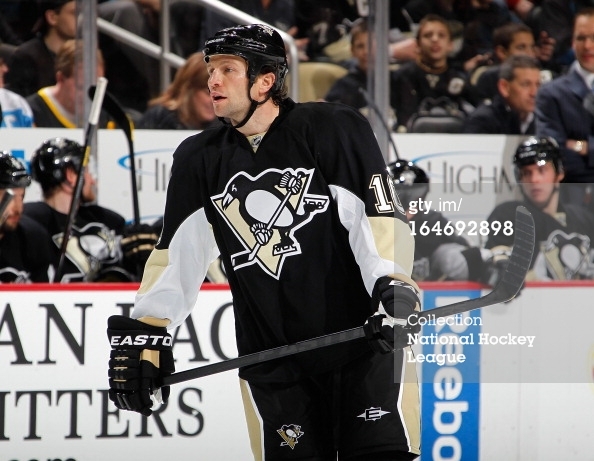 He was a utility defenseman who had a nice wrist shot, could play well in his own zone, and fight when he had to. Very underrated skill shipped him to Buffalo where he scored the winning OT goal in the SCF against the Stars that was dubbed "the shot hear 'round the world!" 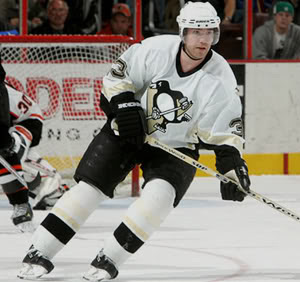 Bryan Smolinski was a 3rd liner on a deep Penguins team. Smolinski was the type of guy who could and would play any position for the team. He would have time on the 2nd PP unit as well as kill penalties. Bryan was a team player all around ... until it came time to work on a new contract with him. He sat out the regular season playing for the Detroit Vipers until the Islanders wanted him and Craig Patrick turned him into Darius Kaspariatis and Andreas Johnasson. Acquired: March 4, 2009 Guerin was traded to the Pittsburgh Penguins for a conditional draft pick. The pick, a 2009 fourth-round pick if the Penguins made the playoffs, was later turned into a 2009 third-round pick once the Penguins advanced to the second round of the 2009 Stanley Cup playoffs. Bill Guerin marked the last time I've doubted Shero in my lifetime. I knew how well Roberts worked out but there's no way to bottle that lightning twice. I was wrong. Guerin made an immediate impact and formed great chemistry with Crosby. Guerin and Crosby formed a bond off the ice learning from eachother. Guerin created space for Crosby and Dupuis by taking damage in front of the net and playing with an exhuberant edge. In 2009 the Cup came to Pittsburgh and thus cemented the love-affair with Guerin and Pittsburgh. When Marc-Andre Fleury suffered a high ankle sprain the Penguins fan base threw in the towel for the season (as we do once a week) and MAF was going to miss multiple weeks with this injury. 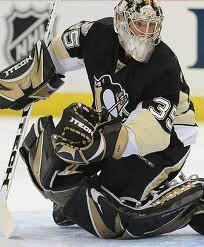 Danny Sabourin stepped in between the pipes against the Flyers and Conklin was recalled from WBS to back him up. Sabu was lit up for 5 goals and Conklin 3 that game and the Penguins were scrambling for answers. Who knew Conklin was that answer. He won his next nine starts with 2 shut outs and winning the first ever "Winter Classic" in Buffalo. He played in 33 games for the Penguins, finishing with a personal record of 18–8–5 and a save percentage of .923, 2nd overall in the NHL and was nominated by his own teammates for the Masterson Trophy that year.